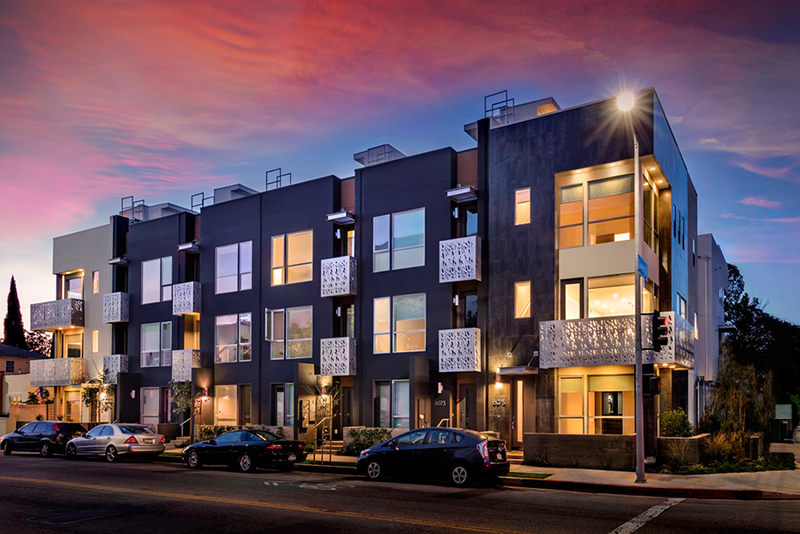 These 3-story residences located in Hollywood, CA reflect a lifestyle infused with contemporary design and luxury. 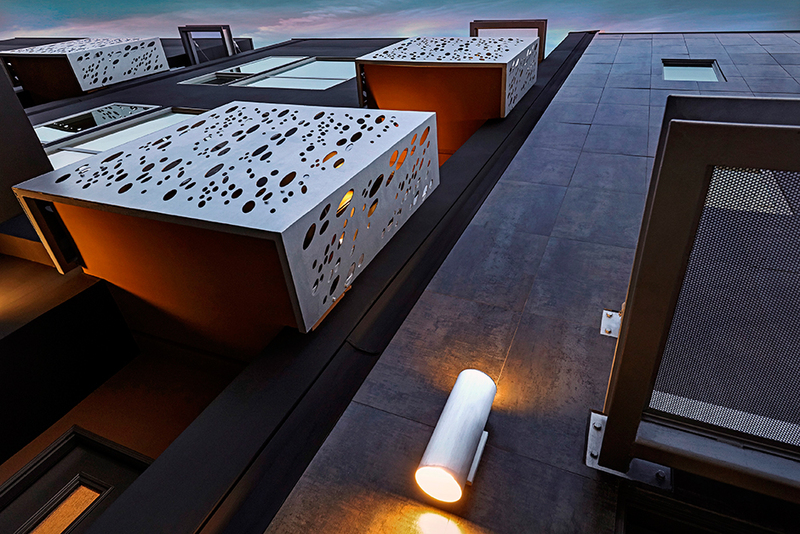 The exterior design and finishes reflect a seamless and cohesive blend of materials and color coming together to create a prominent, sophisticated architectural statement. 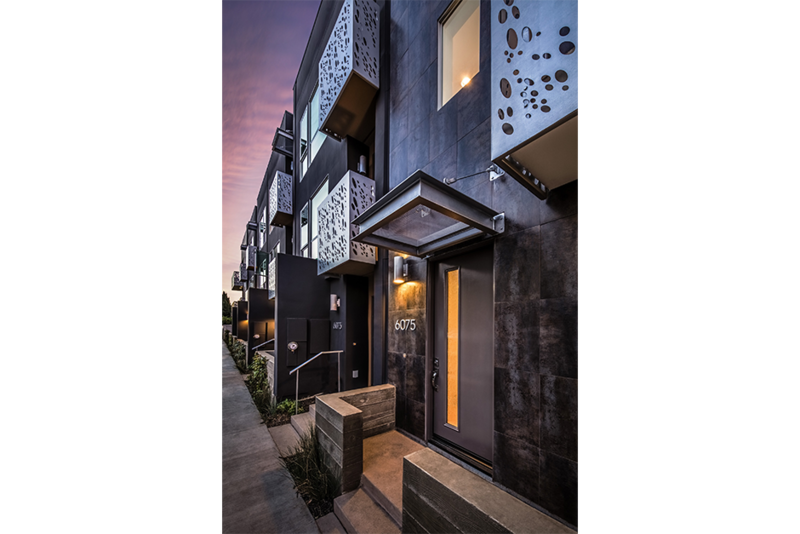 The use of Porcelanosa tile panels, aluminum storefront glazing and decorative punched aluminum panels promotes a strong visual, anchoring the street corner.